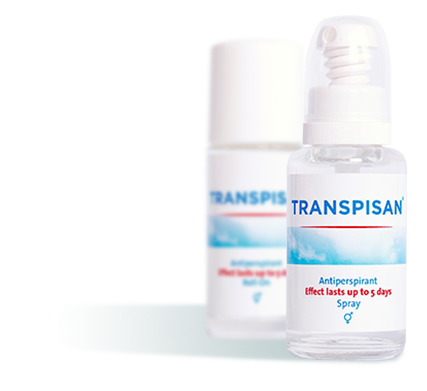 TRANSPISAN – EN | The High Performance Antiperspirant – Effective for up to 5 days. TRANSPISAN protects you from excessive perspiration – caused by sporting activities, heat or by health issues like hyperhidrosis. Highly effective, dermatologically tested ingredients provide you with long-lasting security – without irritating your skin or leaving marks on your clothes. Feel secure every day. For up to 5 days. prevent excessive perspiration and unpleasant body odor – reliably for up to 5 days. or as a convenient roll-on that can be used easily on the go. Our TRANSPISAN Roll-On is perfect if you don’t want to use the product on your entire body but only on certain areas of your skin. That way TRANSPISAN protects you reliably where you need it most. Simply apply at night before going to bed and rinse with clear water in the morning. TRANSPISAN Spray is perfect for integrating odour-protection with your daily toilet routine. Simply apply TRANSPISAN anywhere on your body before you go to bed and rinse in the morning to feel protected and secure for up to 5 days! TRANSPISAN is highly effective and dermatologically tested so you can use it anywhere on your skin. Click here to find out how TRANSPISAN is applied for optimal performance. TRANSPISAN has been developed for people suffering from excessive sweating – through physical strain or due to medical issues such as hyperhidrosis. 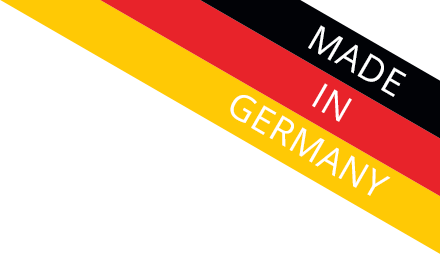 © 2018 KSC Kosmetik GmbH Germany. All rights reserved.